In September 2014, The Hotline To God Store updated its website to include three video hands-on product demos, which can be viewed at http://www.hotlinetogodstore.com/promo/. Each video introduces one of the company’s three product lines to potential customers. The Hotline to God® Phone (http://www.hotlinetogodstore.com/order-now.html) is one of three unique inspirational Christian audio products that immerse customers in the Bible. Products from The Hotline to God® Store are designed to be intuitive, easy-to-use, and enjoyable. The Hotline to God® Phone has 25 pre-recorded Bible verses, including favored passages like John 3:16 and Psalm 23. These verses are selected for their ability to bring comfort to people of faith during times of need. *Name and location changed to protect patient privacy. Additional information can be found at the Hotline to God® website at http://hotlinetogodstore.com. Hotline to God offers unique and uplifting audio products for Christian consumers of all ages. 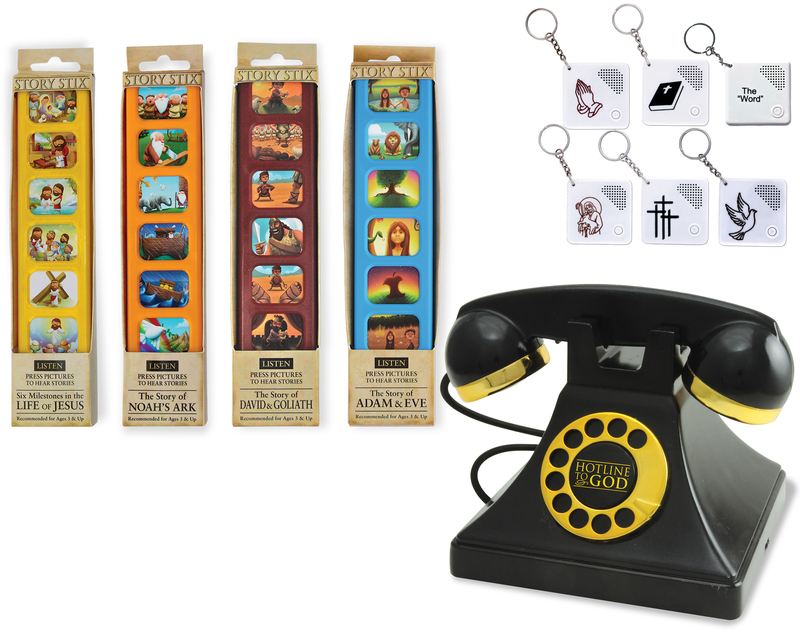 Products include the Hotline to God Phone, which plays 25 inspirational Bible verses, Story Stix, a unique hand-held 6-button children’s Biblical educational toy, and six Audio Key Chains, which play inspirational Bible verses and quotes. Visit http://hotlinetogodstore.com for more information.